When it comes to intimate events such as weddings, exclusivity is an intangible experience that every couple-to-be looks for. Why? Simply because this day is THE DAY. It’s not daily that you get to exchange vows with the love of your life. And right in front of your most beloved families and friends no less! All brides and grooms dream of a wedding that’s nothing short of a fairy tale. A place where happy memories are created and eternalized, the Villa Milagros family understands that this can only be possible through exclusivity. Keeping this in mind and heart, they see to it that their clients enjoy their once-in-a-lifetime event with ONLY those who are dear to their hearts. Take a tour and discover how they can make your dream wedding a reality. Strategically sits in an undisturbed area. 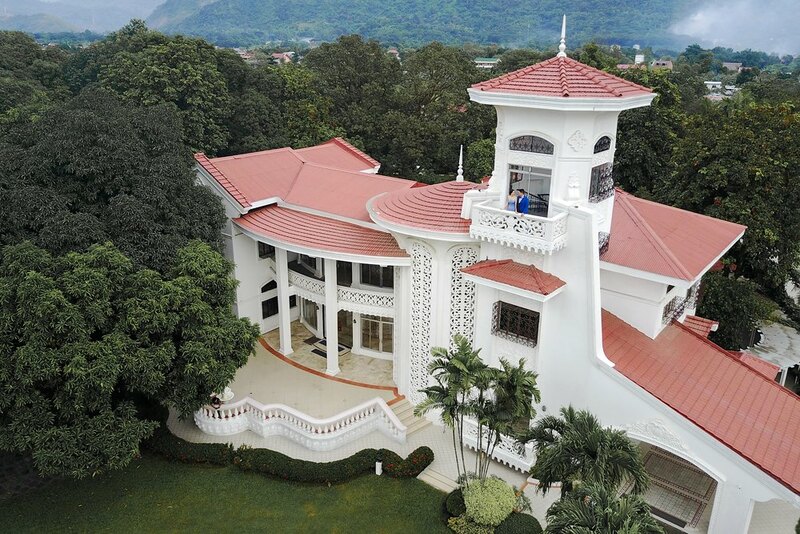 Away from the hustles and bustles of the busy city life, the majestic Villa Milagros Mansion sits peacefully in Rizal. Once you enter the gates of VIlla Milagros, you will be transported into another world. . A peaceful, private and perfect mansion solely for your big day! This elegant property has four majestic function areas for your specific needs. 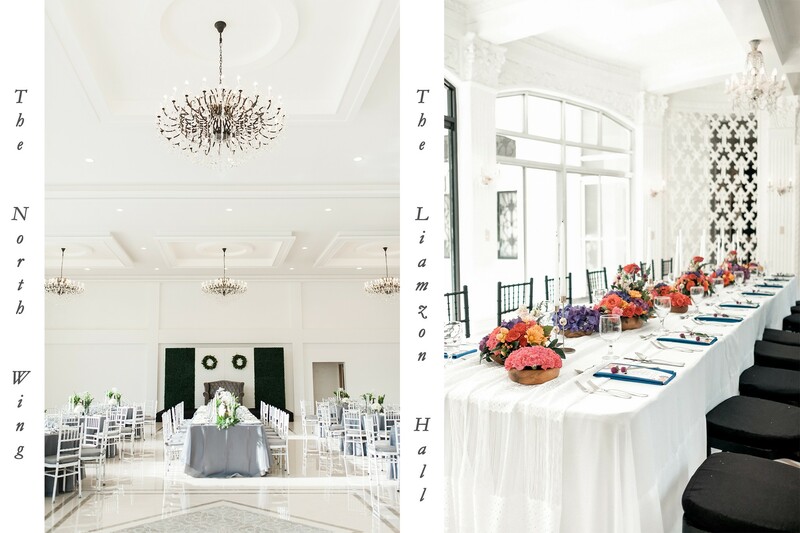 Known as “the Mansion’s heart and soul”, the Liamzon Hall is the perfect event venue for closer and more intimate gatherings, as it caters to groups between 12 to 45 people. But what gives the hall its true charm are its floor-to-ceiling glass doors, which let in radiance that only natural light can give. The North Wing, on the other hand, is the better choice for a bigger and grander celebration. This one-of-a-kind function area can hold up to 300 guests and has a ceiling seemingly as high as the sky! And just like the above, its ceiling has elegant star-like chandeliers. Your wedding guests are sure to gush about it! Villa Milagros makes ‘outdoor’ a private place. With Villa Milagros, exclusivity is not an impossible feat even for garden weddings. Making sure they book only one event per day; their gardens are sure to serve as your own little world on your special day. 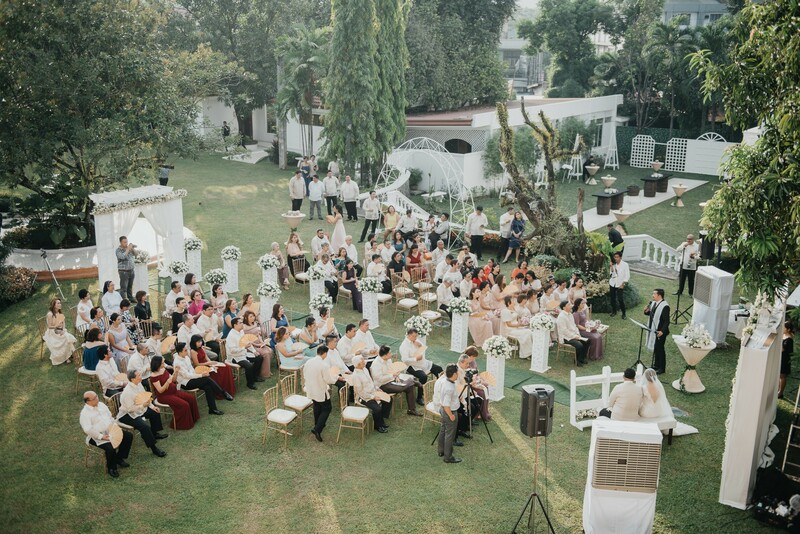 For bigger outdoor weddings, Delia’s Garden and Terrace would be the perfect option as a crowd of 250 guests can merrily witness your vows here. Should you choose to invite only those you hold dear to your hearts, Cristina’s Garden and Terrace can host smaller and more intimate gatherings of up to 150 if you want to be surrounded by lush trees. Either way, both gardens are a dream come true! 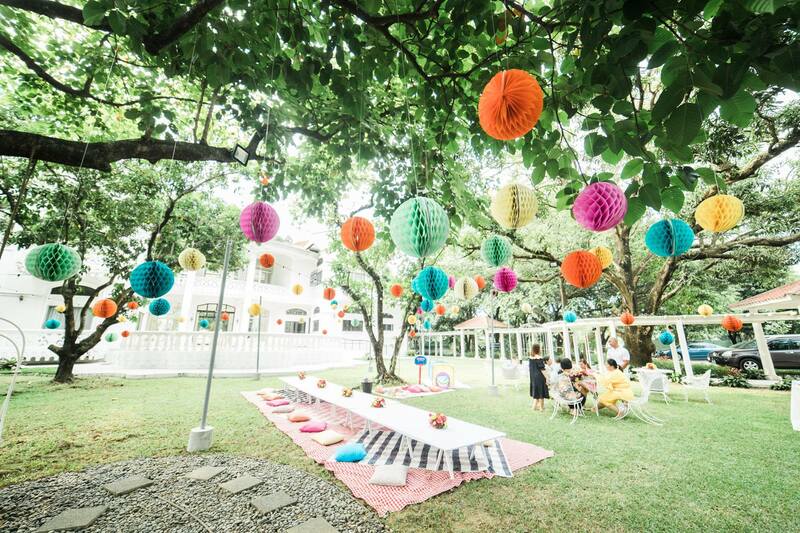 Just imagine exchanging vows in a picturesque green garden. Classy rooms for your exclusive use. Although a wedding is every woman’s dream, the big day can be quite nerve-wracking! Allow Villa Milagros to ease your stress by letting you relax in Villa Milagros’ unique rooms. The Milagros Suite is the premium room for on-the-day preparations. The Suite sports an ingenious mix of classical 1960s vintage design and modern-classic touches. There is space for all your needs on the big day. It even has a dedicated makeup room for your convenience! Aside from functionality, the Liamzon family also made sure that you can feel at ease with their carefully chosen interiors: shades of calm creme with a soft touch of minty hues. You’ll surely be kissing cold feet away! If you have a big family or many friends, there are more rooms for your dream day. Aside from the luxurious Milagros Suite, you can opt for other rooms on the Mansion’s second floor such as Sonia’s, Cora’s, Norma’s, and Zeny’s Room for yourself. Each room has its own charm and is uniquely equipped with canopies, extra beds, and balconies that will give you stunning views. A few steps away from the event venues, these rooms are perfect for on-the-day use and even for overnights before and after the big event! No traffic, late arrivals, and all those hullabaloos. That’s a huge chunk of wedding day stress you can forget! 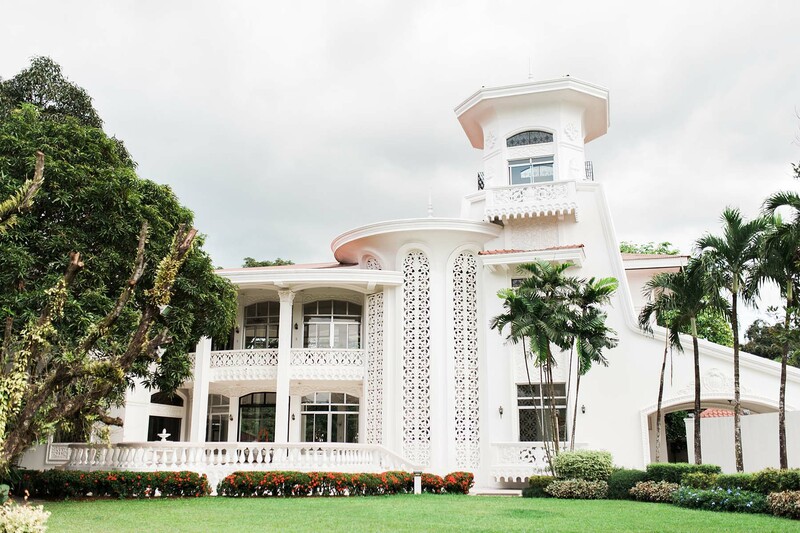 Not limited to weddings, Villa Milagros Mansion and Gardens also welcomes other milestone events, such as prenups, debuts, family portraits, fashion, and editorial photo shoots, or even media production shoots. If you’re looking for a place that can transform into your own little paradise for a day, then Villa Milagros Mansion and Gardens is just the events venue for you. See for yourself right now!